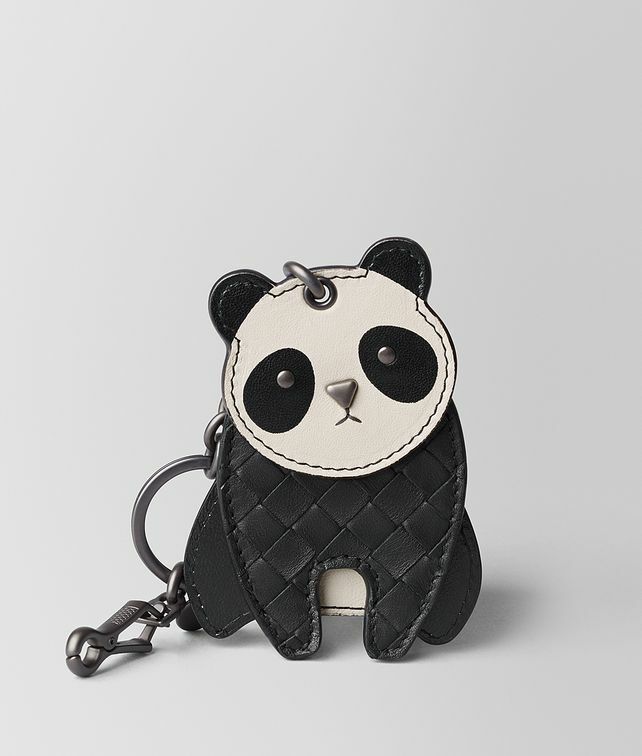 Instil a playful touch into your little extras with this charming panda key ring. Handcrafted from supple nappa leather, this piece is woven with a panel of iconic intrecciato. Its delicate hardware displays the signature brunito finish. Height: 9.8 cm | 3.8"
Width: 6.6 cm | 2.6"
Thick: 0.6 cm | 0.2"
Length of chain: 12.7 cm | 5"